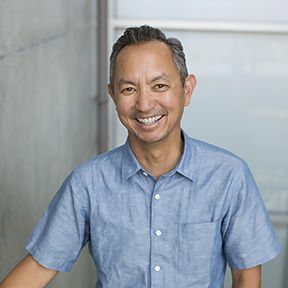 As Director of Campus Life, Marcus Chang leads the ongoing development of Thaden’s co-curricular programs, including athletics and the signature programs (wheels, meals, and reels), and oversees all matters related to student life and community engagement. A native of San Francisco, Mr. Chang comes to Thaden with more than 26 years of experience in independent school education. He also has a demonstrated ability to foster and support diverse learning communities and multicultural exchanges. Most recently, he served as the first Director of Diversity and Community Life at The Bishop’s School in Southern California. He started his career at San Francisco Day School as a coach (basketball, tennis, golf, and ultimate) and physical education teacher before becoming the director of athletics and physical education at Elizabeth Irwin High School in New York City. He then took a position in the administration at Greenwich Country Day in Connecticut, where he served as Director of Diversity and Inclusion and Associate Director of Human Resources. He also brings to his work significant expertise in health and wellness as well as a deep commitment to environmental responsibility and social justice. Mr. Chang holds a bachelor’s degree in human movement from San Francisco State University and a master’s degree in independent school leadership from The Klingenstein Center at Columbia University’s Teachers College. The youngest of four children, Marcus values the role of community in supporting learners. He comes to Bentonville with his wife Meta and their son. They look forward to joining the Northwest Arkansas community.